Have you been good this year? 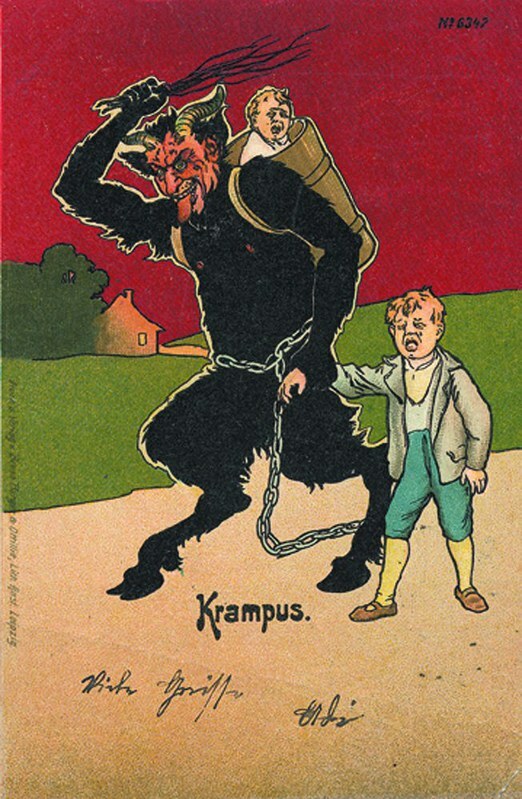 If not, being overlooked by the great benevolent Santa in the sky should perhaps be the least of your worries… let us introduce you to Krampus. 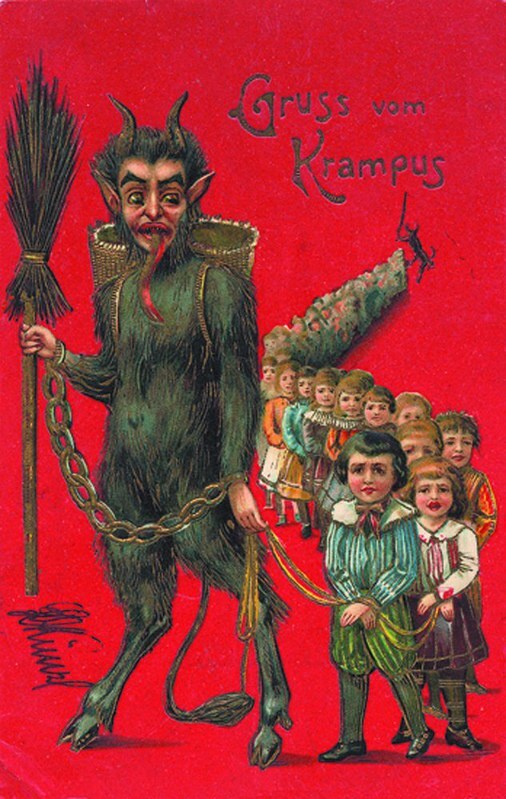 Popular in German-speaking Alpine folklore, the figure of Krampus is a devil-like horned creature who punishes badly-behaved children during the Christmas season. 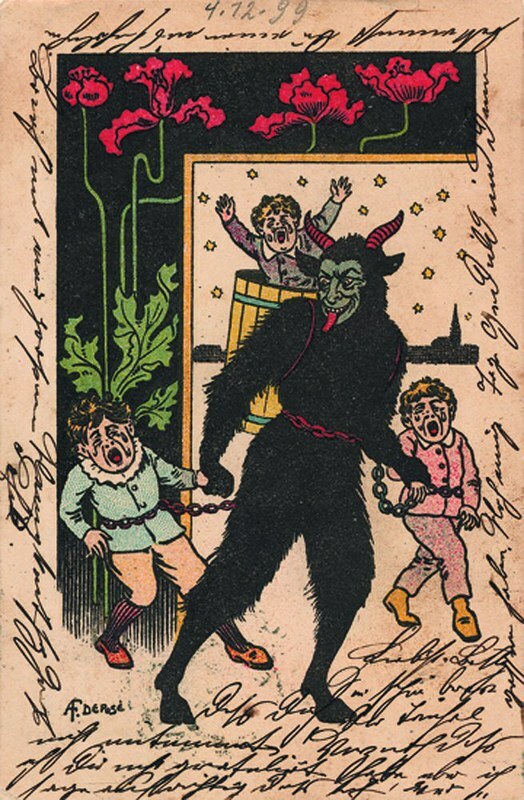 As one can see from the scenes played out on the “Krampuskarten” featured below, a rather sinister form of the normal Christmas card, this punishment usually took the form of kidnapping, with Krampus often depicted whisking naughty children away to hell or some other similarly distressing location. 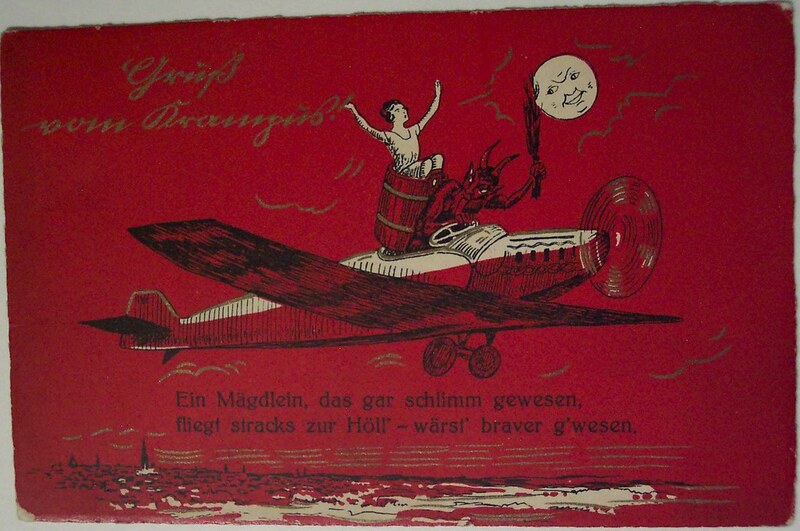 Such cards have been exchanged in Europe since the 1800s and were particularly popular in the early part of the 20th century, often accompanied with the phrase Gruß vom Krampus (Greetings from the Krampus). 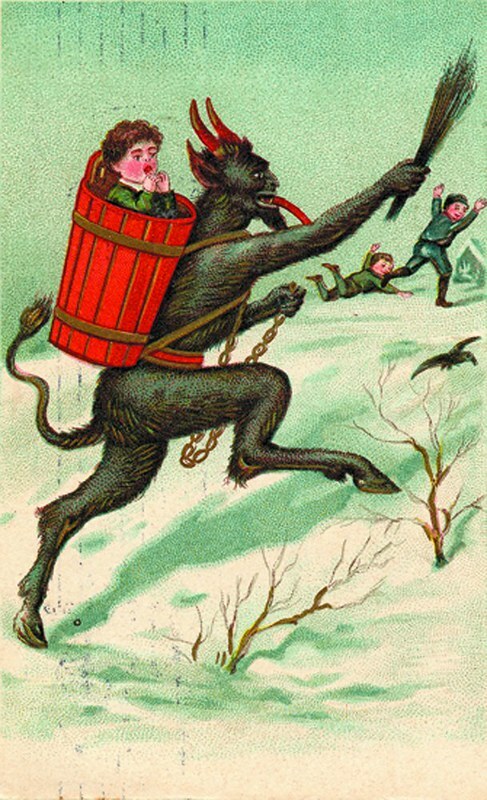 The origin of Krampus is not entirely clear. Some folklorists postulate a pre-Christian origin for the figure, with the ruten, the bundle of branches he is shown holding (when not wielding chains), having significance in pre-Christian pagan initiation rites. 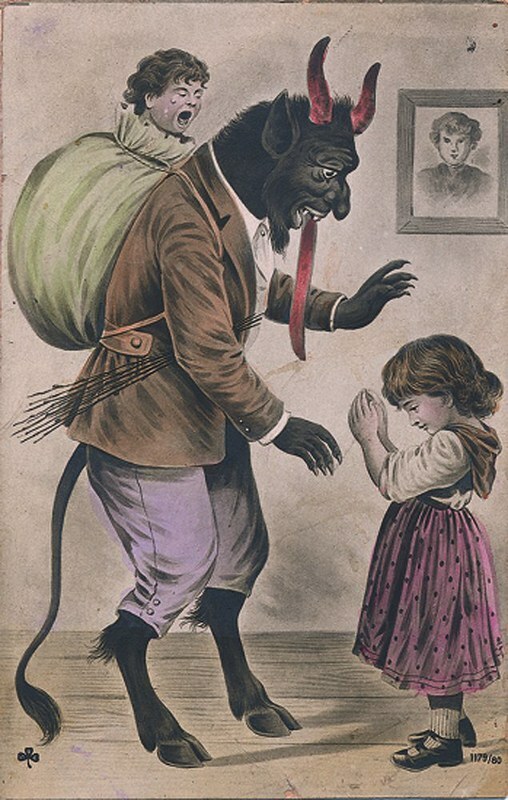 In addition to the exchange of cards the tradition finds expression in Krampusnacht, the night preceding the Feast of St Nicholas on the 6th December, where the hairy devil appears on the streets frightening children and dispensing coal and the ruten bundles to homes and businesses. Various sources: click on each picture for source.